Tar Bar Disposable Filters Display of 24 boxes, 30 disposable filters per box. 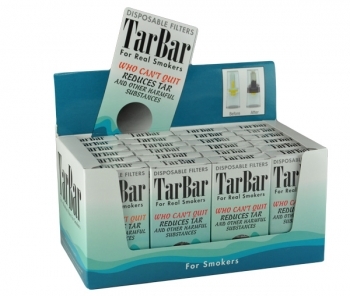 It removes tar and nicotine without compromising the taste. After one week you will feel the benefit of easier breathing.